When painting a wall or applying wallpaper, there are numerous edges that have to be navigated; outlets are perhaps the most common example of this kind of issue. Done well, these edges should be seamless, stopping in a neat, clean-cut line - but achieving these neat edges is far from easy, with jagged edges and occasional paint splatters and paper splits creating a rather messy finish. 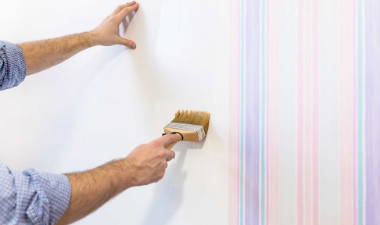 While these mistakes are fairly small, they will be noticed by eagle-eyed buyers, so it’s definitely important to examine all of your wallpaper and paper edges. If you find any issues, you’ll need to remedy them, which is relatively simple if you’ve used paint; just apply tape to straighten the edge and paint accordingly. However, if you have wallpaper, you’ll usually need to rehang the entire panel; cutting an extra piece just to neaten the edge is likely to cause more problems than it solves. When it comes to energy efficiency, windows are a vulnerability, accounting for up to 40% of overall heat loss - so you can expect eagle-eyed buyers will be inspecting every window in your property for any signs of flaws. To ensure you pass this test, you’ll need to inspect your windows before your first viewing, paying particular attention to the seals. If you notice any signs of cracks, holes, or general degradation in the seals, or that the panes of glass move when touched rather than remaining rigid, it may be worth considering an upgrade to more modern, eco-friendly alternatives - especially given you can be sure that eagle-eyed buyers will definitely notice any short-term fixes you have put in place. Some types of flooring are laid in a single piece, with carpet being the most obvious example. 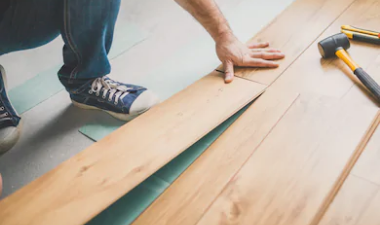 However, the vast majority of homes with a modern finish use flooring that is arranged in individual tiles or laminate planks; a convenient choice that makes laying flooring relatively easy to DIY, but can be problematic when it comes to catering for eagle-eyed buyers. When planks or tiles are pressed together neatly, they look fine; however, when infinitesimal gaps develop, dirt can become trapped between the joins. This accumulation of debris can impact the entire aesthetic of the floor, and it will be noticed by prospective buyers with a keen eye for detail. It’s therefore worth using compressed air and, if necessary, a blunt knife to remove all lingering debris and then give the floor a good clean before every viewing. 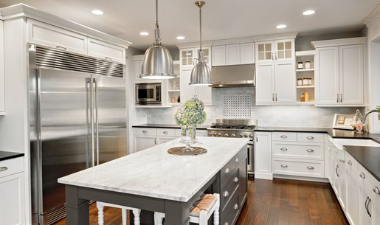 We all have corners in our home that are tough to access, especially in the kitchen, where the presence of cabinets tends to make it difficult to get directly into the area to clean. While these tough-to-access corners are not a problem on a day-to-day basis, they will - of course - catch the attention of eagle-eyed buyers. As a result, you’ll need to do all you can to access the corner to clean it and ensure it is free of cobwebs or wall scratches. The easiest way to do this is to use a vacuum cleaner first to remove any dust or debris, then slightly dampen a clean mop and wipe it over the area - if you still struggle to reach, extender poles designed for paint rollers can help to provide the extra length required. 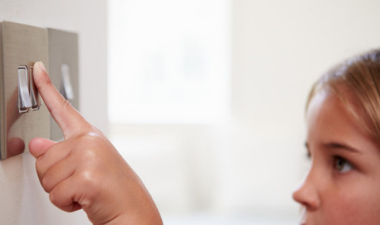 Light switches are often one of the dirtiest parts of a home due to their constant use, but unfortunately, it’s incredibly easy to forget to wipe them down every time you clean. Worse still, many homeowners find that the area around each switch gets dirty incredibly quickly; a problem caused by people reaching for the switch, missing, and grazing the surrounding wall instead. Naturally, eagle-eyed viewers will see any smudges or dirt on or around your light switches, so you’ll need to ensure these are properly cleaned between each viewing. If you find that cleaning the plates tends to make scratches or dents more visible, then it’s definitely worth installing new wall plates before inviting buyers into your home. Doors play a crucial functional role in the function of any property, so you can be sure that eagle-eyed viewers will be assessing every door they walk through in an effort to identify flaws. As a result, it’s essential to ensure that all of your doors work exactly as they should; the door should open and close silently and in one smooth movement. 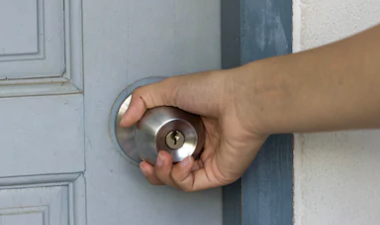 You’ll need to go through your home and open each door, listening for squeaks; if you hear anything, then you’ll need to fix the squeaking hinge. Furthermore, if your checks identify any resistance when the door is opened or closed, consider replacing the hinges before your first viewing. By checking for, and then remedying, all of the issues above, you can be confident that you’re ready to put your home on the market and please even the most eagle-eyed of prospective buyers.